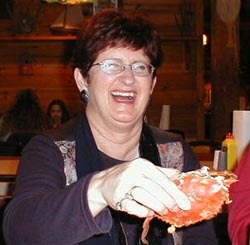 Hilda and Eygló had a fun time at the Old Mill crab house and restaurant in Delmar during their visit to Maryland. 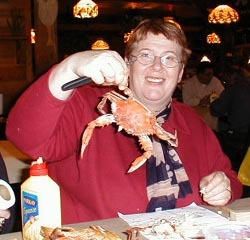 Hilda needed some convincing and special tutoring by Joyce Perdue but she learned quickly how to eat a steamed crab. Eygló got right down to business and enjoyed the crabs, too. Both ladies loved the hushpuppies as well.